The latest victim of the owl-faced weird demon is Morgan Young, a woman planning a fundraiser - but also very very handy with pepper spray making her the first to get away. This is witnessed by Jace who is now staying up every night using Shadowhunter woo-woo to not sleep while fighting hallucinations and nightmares about Jonathan (Sebastian) Clary’s evil brother. Meanwhile Alec and Izzy get the dire news that their mother is coming to visit and probably has bad news. Which worries them because Maryse is very intent and tends to pick on people to avoid awkward situations and neither wants to be the victim. Also they don’t want to have their reunion dinner at the Institute since it brings out her inner Inquisitor. 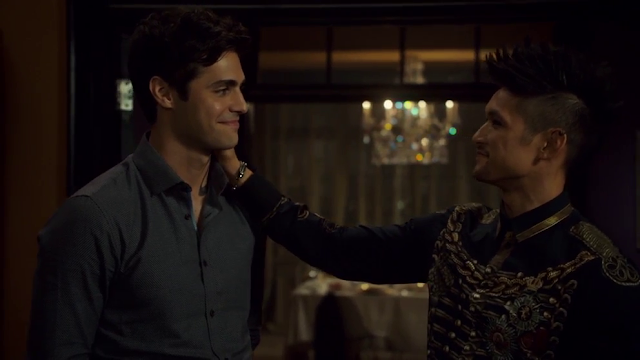 Magnus offers his apartment to play host because you definitely want a woman known for nitpicking, being all Clavey, and disliking both Alec’s gay relationship AND downworlders to be hosted at his house. That makes perfect sense. 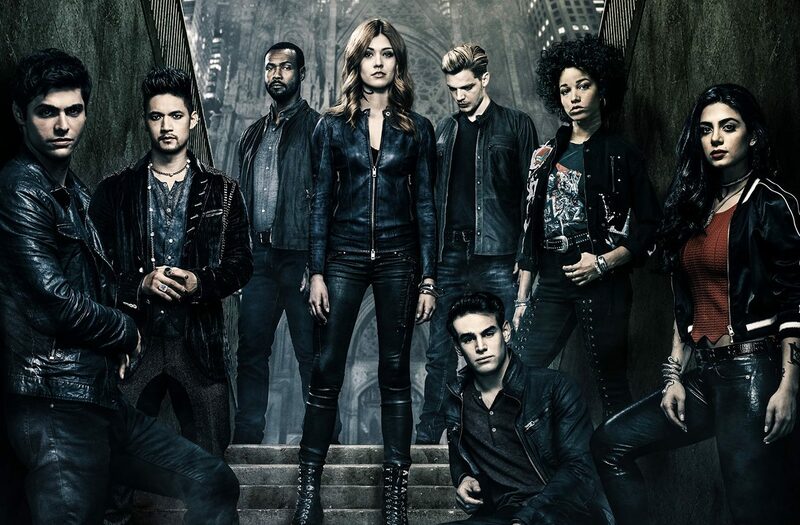 To make matters worse, Izzy, Clary and Jace all bail on dinner so they can join Jace on his demon hunt. He’s convinced the Owl demon is actually Jonathan because it reacted to pepper spray which normal demons are immune to. Alec plans a big dinner for his mother with a touching history of how he and Izzy once made the stew for Maryse after she was grieving a dead parent. Touching. But Magnus realises it’s absolutely terribad awful and uses magic to make it palatable. This character has been pretty much completely retconned which seems nice on the surface to have her be so happy and accepting. And it is. But it also kind of mirrors the book in having homophobia when it’s useful dramatic tension and dismissing it when it’s not. Turning prejudice on and off to suit your plotline du jour is not ideal. That isn’t hard to achieve. But then Alec’s generation includes Clary… everyone’s doomed. She leaves with more decorous hugs and an open invite to come party any time. And I know I harp on about this - but with all this emotion this is the loving gesture between Alec and Magnus. Look at that clear daylight between them. Raphael is also keeping a new vampire imprisoned and drugged - Heidi - who plays with her blood and escapes. I assume this is going to be bad. Raphael gets the call that Rosa is dead which leaves him predictably devastated. He calls Izzy and we have another wonderful scene of support and good acting and really this could become a habit. Naturally this leaves Raphael in utter bits. Maia is still super supportive of course - and she also questions if it’s really that bad that his mark is protecting him. Simon is pretty sure it is. Luke is also spending a lot of time with Olly but Olly is super casual about the dangers of the downworld, speaking openly, being casual about sharing its secrets. This will not end well.